As a professional charcoal machines manufacturer in China, our company always adhere to the principle of quality first. Besides the crop straws, the machine can process other biomass material like bamboo shavings, sawdust, palm shell, rice shell, etc. Raw material: sawdust,coconut shell,wood,rice husk,sludge etc. 1. 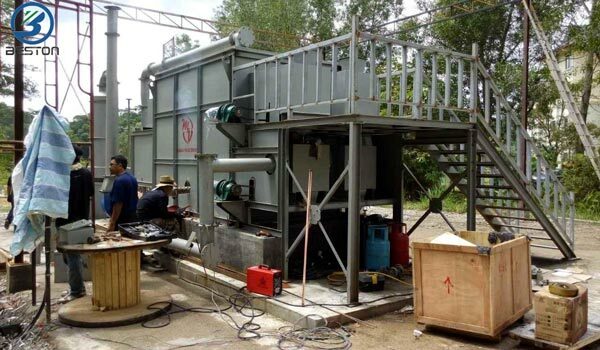 Gasifier equipment can produce gas fuel by heating sawdust or wood wastes. 2. The gas fuel can be used by the carbonization stove to heat the raw materials. 3. Dust-removed device will remove the dust in the gas by the recycling water. 4. Gas cleaner will make gas clean, you can use the gas to heat, which will not pollute the environment. 5. 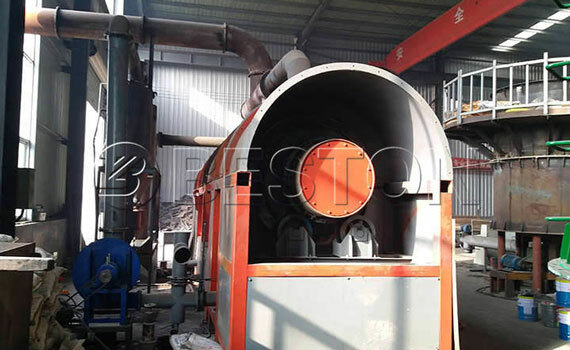 Dual train drive device will transport the raw material to the carbonization stove. The feeding speed is adjustable. 6. Carbonization stove can carbonize the raw materials to charcoal directly. 7. Cooling and discharging conveyor will cool the charcoal when discharging. 1.Central control can be designed according to the customer’s request, which can separate the operator and machine. 2. Combustible gas was recycled to the burner, combustion device with pressure gauge, pressure relief valves and electronic ignition device. 3. Configured with the casing (protective shell), which can prevent the body contacting the high temperature directly. 4. Power supply section has a standardized control system to ensure safety. 5. Professional desulfurization, smoke-remove, cooling system. 6. Configured with sealing system, ensure the environmental cleanliness and production safety. Daily Life: widely used as fuel in the barbecue, rinse and other food field. Agriculture: attach heavy metal, improve the quality of soil. Industry: can be reprocessed into activated carbon, widely used in the smelting, chemical fields. Industry:can be used as fuel;can be used for drying;can be used for generator to get electricity.